Spring and Summer travel season is here again and with the season comes the increase in visits from family and friends, stays in Hotels and plane flights. Bed bugs hitch hike into bags and other items we use when traveling and until now prevention has been limited to checking your bed in the Hotel room, keeping bags on counters and treating your bags when you return. So, how else can you help prevent your home from becoming infested ? 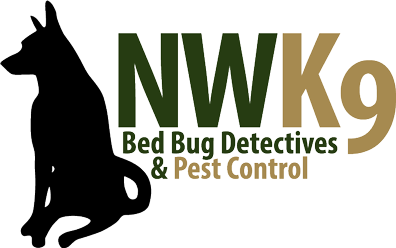 Northwest K9 Bed Bug Detectives offers a brand new non-toxic preventative treatment that is applied directly to your mattress, box-springs, couches and other fabrics in your home where bed bugs hide. The product kills all stages of bed bugs when they are exposed to the product. The treatment lasts for many months and will help stop the bugs before they can populate and turn into a big problem in your home. Stop the bugs before they can spread by being proactive and treating your home before you leave on vacation or have guests over. Contact Northwest K9 Bed Bug Detectives to learn more.